LOLLYWOOD actress Mahira Khan took to Instagram to share a famous picture of Princess Diana which shows her sleeping during a party. 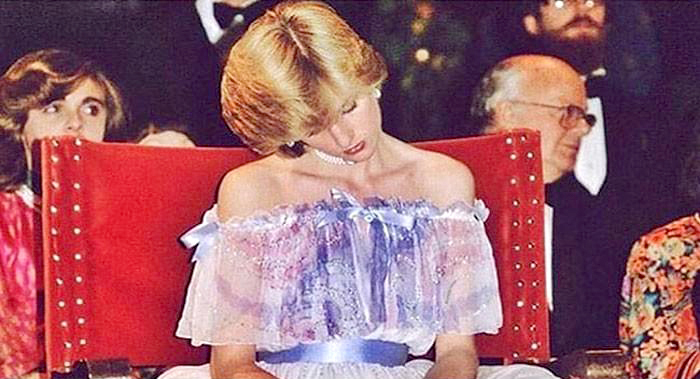 The picture shared by Mahira shows Princess Diana in a beautiful lilac gown, catching some shut-eye during a party. According to ‘Vogue’, the picture was clicked during a party at the Victoria and Albert Museum in November 1981. Mahira wrote in Urdu ‘Same halat’ as the caption to this beautiful picture of the ‘sleeping beauty’. The meaning of the captioned words are ‘same state’. It seems like the picture of Princess Diana has also resonated with many on Instagram, having already collected over 38,000 ‘likes’ and hundreds of comments since being shared just five hours ago. “Big mood,” writes one person in the comments section. “True. This is me in history class too. This is probably a lot of people in history class,” jokes another. “Same, Mahira,” a third writes. The picture and its caption shows that our showbiz princess is also in need of taking a sleep for some extra hours. Mahira is overloaded with her various engagements and she wants to get some relief from her busy schedule.